With over 25 years of experience serving companies locally, nationally and internationally in video production, post production and translation, Greg has created videos seen around the world. He got his start with international video language translation as the manager of worldwide video communications for Burger King Corporation. Greg is known for his ability to take his clients’ videos to the next level, while staying within their budgets. 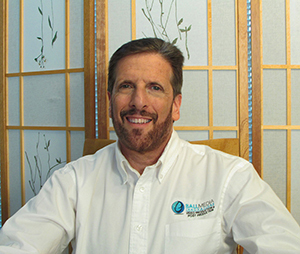 See what other clients say about Greg & Ball Media Innovations. Check our Client Testimonials page. Only True Expert Translators, Actors, Directors & Technicians Work on Your Project! In addition to Greg, your project will be worked on by some of the best translators, voiceovers, actors, artists, technicians and directors in the industry. They’re exceptionally competent, creative, highly experienced and very motivated to do exceptional, accurate work for you. You can be confident that those working on your video will have proven track records doing similar work with extensive histories of success. Large or small projects receive the same great service and attention! You’ll receive consistently outstanding, personal customer service. We get back to our clients quickly, and we do what it takes to show you that we value your business. Honesty, integrity and professionalism describe our company and personal values, and our clients trust us because of it! We offer quick and clear communication. We consistently return all of our clients’ calls and emails as quickly as humanly possible. We believe in good manners and we respect our clients. You’ll experience that with us in every phase of the process. All of the above is what keeps our clients coming back over and over again. You can trust your translation project to Ball Media Innovations. We can author your DVD’s, create DVD menus, handle all your duplication needs, design DVD labeling and packaging artwork, and produce your DVD packages. We can convert your video into PAL or SECAM. Additionally we can convert your audio to a variety of formats including .WAV, .AIF, MP3. If you haven’t already, check out our main audio translation, video translation and film translation services page. Then give us a call. We can give you a free quote, and we can help you decide the best way to translate your project. Or use the contact form on the top right.